Never underestimate the potential depth of a relationship between the very young and the very old. Emma was more deeply affected by Nanny’s death than any of us could have imagined. Clearly when an 8-year-old asks for nothing for her birthday but a locket with her Old Nanny’s photograph in it, it indicates a bond that will last forever. 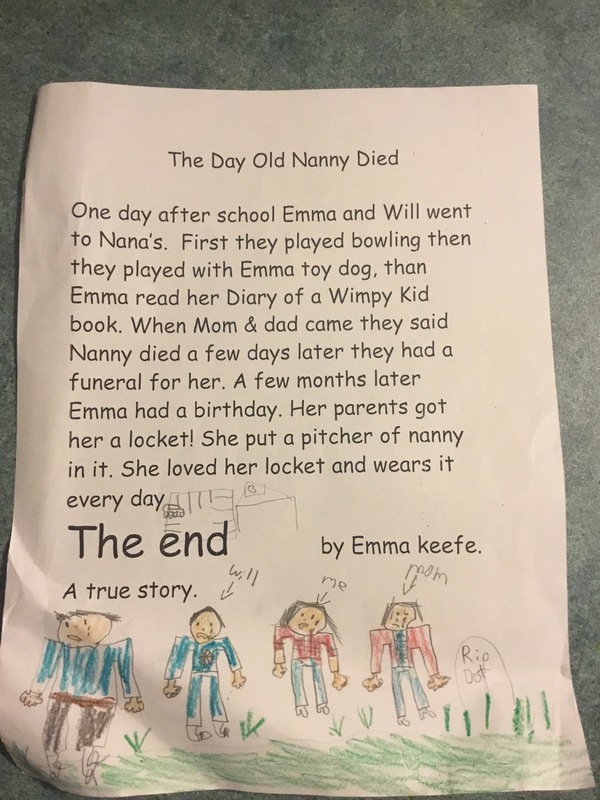 Emma remembers what she was doing on the day Nanny died and, even now, all these months later, thinks about it enough that she wrote a story about it in school and drew pictures to illustrate our grief. She is a special girl. Which shouldn’t surprise anyone given she was related to Dot. < Previous Happy Birthday, Doodledoo Bopper! Next > One YEAR Vegan-niversary!! !